Although not born in Calverton Michael (Mick) Hugh Waitt lived in the village through the 1960s, 70s and 80s, he was educated at two of the village schools. Below is a summary of his phenomenal success. On the 5th of April 2002, after a successful coaching career in New Zealand, Mick was appointed the new coach of the National Football team (A.K.A. 'The All-Whites). Before achieving this feat Mick had a noteable football career. 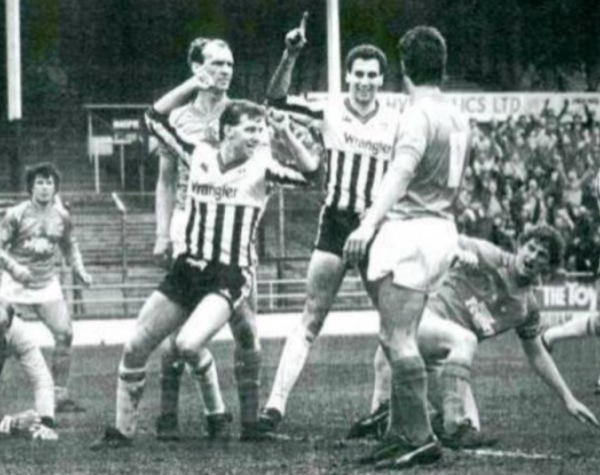 After playing for non-league Keyworth United, he joined Notts County from non-league Arnold Kingswell in December 1984, and made his debut for the Magpies later that season. 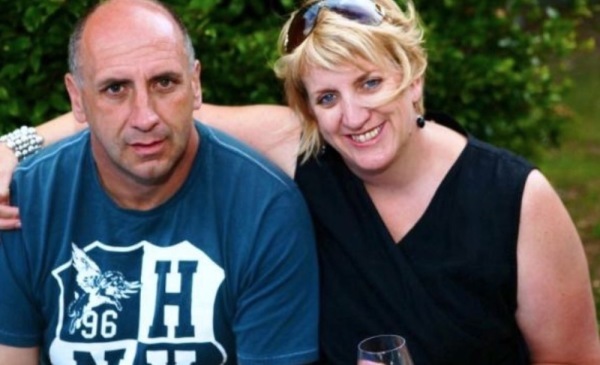 Also in this year, whilst playing in Hong Kong for Lai Sun, Mick visited his sister, Julie (pictured left) in Wellington. After a few chance meetings this led to him signing for Napier City Rovers. He scored 8 goals in 14 National League appearances. He returned to the UK, joining Spalding United in December 1990, Nuneaton Borough in January 1991 and Grantham two months later. 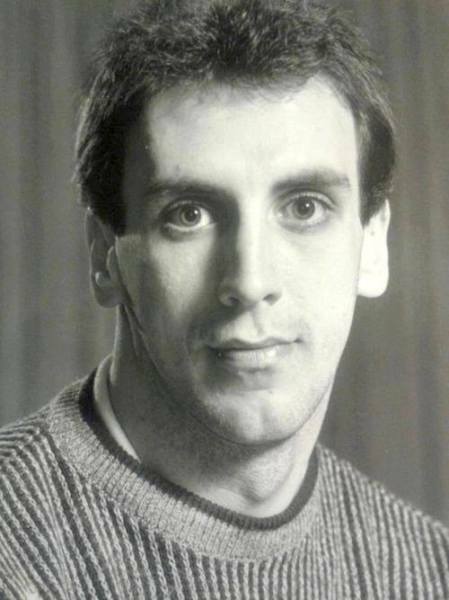 He moved on to join Gedling Town and then Ilkeston Town before emigrating permanently to New Zealand in January 1992. 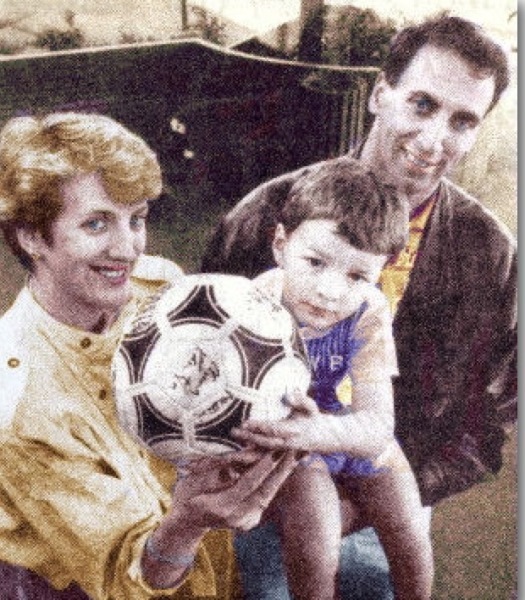 In the 1992 campaign ,for Napier, he scored 4 goals in 21 matches, and also found the net once in 2 Chatham Cup ties. By this time Mick had been appointed Assistant Coach at Napier, and he was appointed Coach of the Club at the end of that season. On a personal level, Mick was named New Zealand Soccer Media Association Coach of the Year in 1993, 1997 and 1998. In 1998 he was appointed Assistant Coach of the 'All-Whites'. Then he became Coach of the 'Junior All-Whites' in 2001. Now he has New Zealand Football's top job. His first big matches will be in the Oceania Nations Cup tournament, in Auckland in July of 2002. 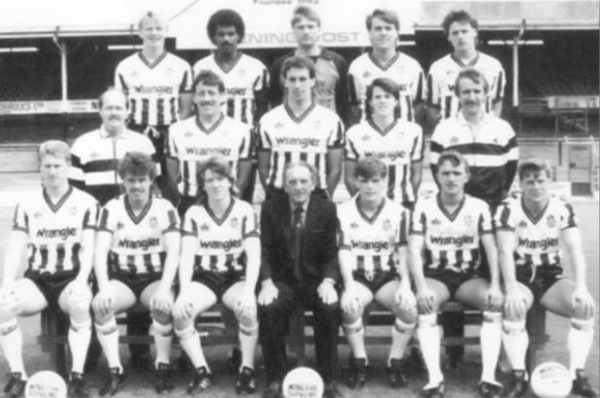 New Zealand: Jason Batty (James Bannatyne 58'), Duncan Oughton, Chris Zoricich, Ryan Nelsen, Gerard Davies, Chris Jackson, Simon Elliott, Ivan Vicelich, Mark Burton, Chris Killen, Aaron Lines. Australia: Jason Petkovic, Mehmed Durakovic, Steve Horvat, Patrick Kisnorbo, Jade North (Tom Pondeljak 82'), Angelo Costanzo, Ante Juric, Scott Chipperfield, Fausto De Amicis (Robert Middleby 82'), Damian Mori, Joel Porter (Bobby Despotovski 73'). Referee: Charles Ariiotima (Tahiti). Coaches: New Zealand: Mick Waitt (England). Australia: Frank Farina. Cards: New Zealand: Ivan Vicelich [Y 19'], Chris Jackson [Y 40'], Chris Zoricich [Y 63'], Aaron Lines [Y 81']. Australia: Scott Chipperfield [Y 37'], Fausto De Amicis [Y 69']. Note: Some sources claim the attendance was 6000 (2 666 paying spectators; free entry for minors). Two Major League Soccer players combined for what some called the most important goal in New Zealand soccer history. D.C United defender Ryan Nelsen put away a free kick from the Los Angeles Galaxy midfielder Simon Elliot in the 79th minute to give New Zealand a 1-0 triumph over the heavily fancied Australia for the Oceania Nations Cup title at Ericsson Stadium in Auckland, New Zealand. New Zealand now advance to the Confederations Cup, to be held in France next year, with its minimum $1.3million appearance fee. Both goalkeepers did well to keep the game goalless with Australia getting the better of the action, particularly in the first half. After a clumsy foul by Australia in the 78th minute, Elliot sent a precise direct kick to the far post, inside the six-yard box, for anunmarked Nelsen who connected perfectly with his first touch for the 1-0 lead. "It was a perfect ball," Nelsen said. "There would be a few questions asked if I had missed it. I knew it was going to go in. The guy marking me just drifted off and you can't do that at this level. Thats the biggest goal I have scored in my career. Just to get a 1-0 win overAustralia is tremendous, but who cares who got the goal." New Zealand Coach Mick Waitt called it fitting that the big goal was scored by Nelsen,the All Whites' captain. "He's a fantastic player," Waitt said. "He and Simon Elliot have so much quality." A statement from the Board of New Zealand Soccer has today, July 19th 2002, offered Mick Waitt the job of leading the 'All Whites' through until the end of the 2006 World Cup campaign. 2004: Mick is no longer the All Whites manager, his tenure ended after their exit from World Cup qualifying last year. However he now manages Team Wellington in the new New Zealand Football Championship. They had a miserable first season, but a strong second one and he has recently been re-appointed for a third. He also has a fantastic track record with young players, with the TW youth side cleaning up four of the last five (I think) National Youth League titles in NZ. 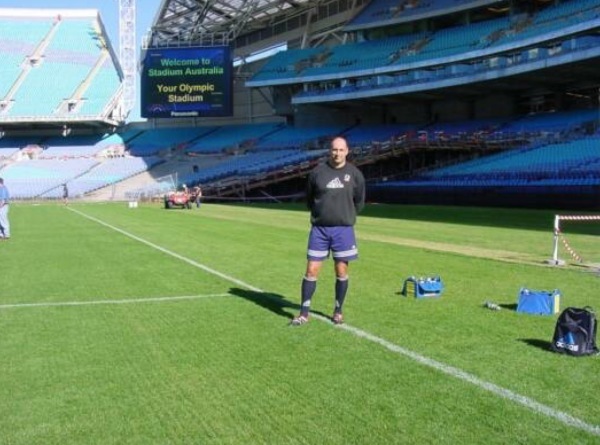 Mick is also Director of Coaching at Capital Soccer in Wellington, New Zealand.